You spend most of your time making sales and completing jobs for customers, and you’re good at what you do. So why is it that your jobs calendar is sometimes frighteningly empty? 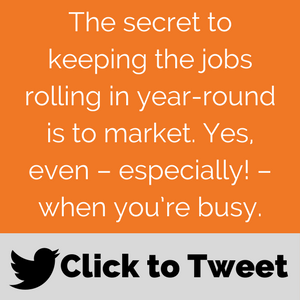 Whether you’re a gas engineer, HVAC business, plumber, electrician, property management firm, or any other type of field service business, the secret to keeping the jobs rolling in year-round is to market. Yes, even—especially!—when you’re busy. 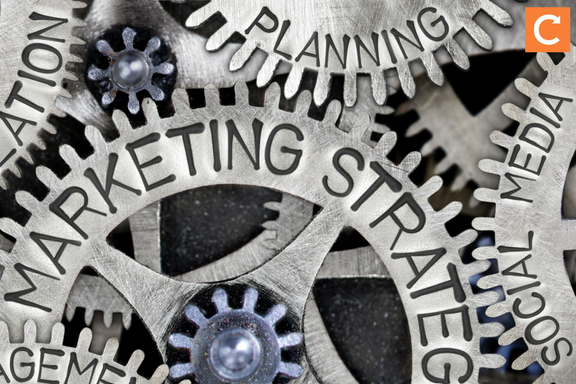 Consistent marketing is the only way to avoid the feast-or-famine rollercoaster of the typical small field service business. We’re here to make it easier for you: Here are the top posts we’ve created about how to market your field service business, divided up by general topic. Give these a read and you’ll soon be a marketing pro—with a nicely booked appointment calendar. Ready to get more website traffic, more reviews, and more business growth? Here are the posts that will help. When it comes to advertising online, there are many options to help you differentiate yourself from the competition, like search engine optimisation, creating blog content, or designing a solid website—all of which take time. But if you’re looking for immediate results, Google AdWords is what you want. This article explains how AdWords works, and shows you how to make it work for you and your gas, heating, or plumbing company. If you want to grow your customer base, increase sales, and improve retention, you might need a new set of tools. Here are 11 free or cheap marketing tools we recommend. Bonus: Many of them have hilarious names like Woorank, Followerwonk, and Moz. Check out these stats: 64.4% of online shoppers trust peers who have interacted with a company more than anyone else...83% of consumers say reviews affect their decision to buy most of the time...and more than 90% of buyers say they read reviews before buying a product. Convinced you need to encourage reviews from your customers? Here’s how to do it. Which review website should I use for my plumbing and heating company? So many review sites, so little time. We’ll help you decide which of the many review sites online are most likely to add value to your business—and to generate more leads through positive feedback. One of the first things you'll want to do when building a website is to choose a domain, which is the part of your URL that comes after the www. The problem is, all the good names are taken. No worries: In this post we share our expert-approved tips on choosing a domain name that works. Why is Your Website Not Making You More Successful? If you’ve been wondering whether you should include a blog as part of your field service marketing plan, don’t let the name of this post fool you: We include not only the five reasons you should say Yes, but also the disadvantages to consider—plus tips for making your blog work, should you decide to start one. Here, we help you develop a plan for automating all your email, from creating a pro-looking email to segmenting, cleaning, and integrating your list. This post also offers a useful downloadable infographic on the best day to send field service emails. How do I keep customers warm without spamming? Maintaining a healthy relationship with your customers is a balancing act. Too little contact and they might forget you—or think you don’t value their business—and go to a competitor. Too much, and they’ll think you're being a nuisance or that you're ‘desperate’. Here are a few simple ground rules for making sure your customers value your communications, instead of viewing them as an annoyance. Social platforms like Twitter, Facebook, and Instagram aren’t just for watching cat videos and ranting about politics. In fact, many people turn to social media to make buying decisions. These posts will help you make the most of social. If you’re not yet convinced that social media can help you get more customers, this post will take care of that. We also offer a quick overview of the most important social platforms for field service businesses. Organic reach on some social media platforms is shrinking—meaning that if you just post and hope for the best, your posts are unlikely to go beyond your immediate friends and family. The good news is that you can promote your posts to a wider audience on these platforms without spending a bundle. Here’s how. How to grow your trade business with social media? In this post, we go more in-depth into how to create a social media strategy, including choosing the right channels for your business and using helpful tools to streamline the process. How you communicate and work with customers is a type of marketing in itself. Check out these posts to learn how to delight your customers—and win more jobs. How to build a customer database of loyal customers? Develop and retain profitable customers with these smart tips. Get ready to underpromise and overdeliver, encourage customer feedback, and upgrade your customers to contract plans! A lack of branding—or worse, cheap-looking branding—can cause potential customers to pass you by when they're looking to hire a plumbing, gas, electrical, or fire & security business like yours. That's why we talked with vehicle signage experts from all over the globe to get their best tips on the other type of mobile marketing: Turning your service vans from mere means of transportation into job-generating lead machines. When you discover that a customer has left an online review slamming everything from your products to the color of your service vans, your first instinct is probably to come back at the reviewer with guns blazing. That will make you feel good, but it will also make your company look bad. That’s why, in this post, we talked with an expert about how your field service business can turn negative reviews into raving fans. Did you know your service van actually communicates with your customers and prospects? A lack of branding—or worse, cheap-looking branding—can cause potential customers to pass you by when they're looking to hire a plumbing, gas, electrical, or fire & security business like yours. One of the best ways to keep meaningful contact with existing customers—and draw in new ones—is to offer giveaways and customer gifts. We take a look at how giveaways and gifts can make a difference with your customers, and suggest 10 amazing goodies to try. We hope these posts make marketing easier for you, and that they help you bring in more happy customers. For even more help, download Build a Better Website: A Complete Kit for Field Service Businesses by clicking the banner below. In this free Kit, you’ll get expert insight on how to choose a domain name, the simple way to do SEO, and more—plus a thorough checklist that will help you build the perfect website for your field service business.